It is official. 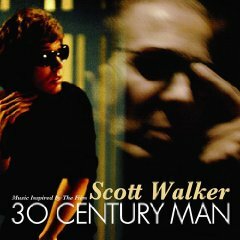 On April 29 Lakeshore Records will release “Music Inspired by the Film SCOTT WALKER - 30 CENTURY MAN”, a collection of Walker covers that I assembled from a collection of incredible artists. Click the album art for more info, track listing, etc. This entry was posted on Monday, April 13th, 2009 at 3:05 pm	and is filed under News. You can follow any responses to this entry through the RSS 2.0 feed. Responses are currently closed, but you can trackback from your own site.